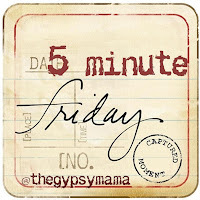 It’s ‘Five minute Friday’ time, joining with Lisa-Jo Baker. we write for 5 minutes flat – no backtracking or editing, throwing caution to the wind. Check out others’ five-minute offerings by clicking on the button below. This is my best five minutes on ‘Beyond’. Sometimes I get a bit paranoid about the fact that I have a blog that is mainly about suffering and difficult things. I read other people’s positive blogs on encouraging topics, and I worry that I focus too much on the topics that people find it painful to look at. We’re all short of time and energy – why on earth would people want to read a post where they are made to feel uncomfortable rather than uplifted? I am frequently discomforting, I know. I am difficult. I am high-maintenance. I am demanding. We have two paintings at home. They are Art with a capital A. One is a fluid, fun picture of our local town, and people look at it, and say, ‘that’s nice’. Another is a huge canvas with swirling colour all over it. It is passionate and chaotic and loud. People look at it, puzzled. Then we say, ‘it’s called Lady in Red’, and they look again, and they say, ‘oh’ – and they start to make sense of the image a bit more as they see the lady in red at the centre of the picture, and see the energy that surrounds it. They stare at it for longer. Some people still don’t like it. But for those who stop and look beyond their initial impression, most find it more rewarding than the universally-appealing, instantly-accessible landscape. It’s more demanding, but more rewarding. This is the ‘art’ that I seek to make, and I humbly thank you, dear reader, for ‘getting’ it. It means a lot. I am demanding. I earnestly hope to be rewarding. As I write this, I realise that this also describes the person that I hope to be. For those of you who experience my demanding loud-ness and moments of swirling chaos and see in the midst of it the lonely lady in red and the passion and glimpses of beauty in the picture – I thank you. If you were a painting, what kind of art would you be (or like to be)? If you are a writer or artist, what characterises your art? Lady in Red (the picture above) is by the very talented Martin Bush. Check out his other paintings here. I love this blog because it is real and challenging and ‘difficult’. That’s what makes it so powerful – and genuinely encouraging too. P.S. Have read the first few pages of your book. Just – brilliant. I always pray my writing causes a heart to linger long and savor His grace all the more. And when a brush is in my hand, I’m painting contemporary landscapes. I start with watercolors on a canvas and layer with acrylics….and now I want to be doing just that! wonderful write, friend. And I get you. I see your heart here in your space. You are not depressing to me. not one bit. Lovley Nikki – thank you, thank you for getting me. And how cool that you are a painty artist as well as a word artist! That mixed medium sounds really interesting – must make for brilliant texture. I have no artistic (drawing) talent whatsoever but really love art and admire those who can make magic things happen with colour. Hope you get a chance to release some of that creativity this week! It is soooo nice to meet you. Your heart is beautiful and i love the art here 🙂 I soooo look forward to coming back and visiting again. Bless you for your real and your honest glimpses. Your words are wonderful today, Tanya. See you around this bloggy world. And may you find Joy in your weekend. Thanks so much for your encouragement! I hope to see you again in Blogville! I for one, love your posts. P.s. ‘colourful and corrugated’ is such a delicious combination – you sound like a writer… Are you secretly a writer? If I were a painting I’d be one with bold colours and big. If I were an artist I would be really really grateful, because I’d at least have a brush in my hand. I am… but with very long downtimes inbetween paintings. I have a photo that I’m dying to put on canvas, but then I have to give it away, because it’s not my photo… which is sad because it is one of the most beautiful pictures I’ve ever seen (even with the fly in the middle!!!). SO fun to get to see Lady in Red! Oh, I see what you meant now. Thank you for your words this morning, but here and over at my place. I don’t know what it is about suffering that makes us read—my posts on suffering continue to be read more than any others I’ve written. Which only goes to show that we must make the art we’re born to make, then leave the rest to God. Not only does it bring us healing, but those who “get us” will, too. Thank you, lovely Amy! It is nice to find kindred spirits along the way every now and again, to remind us that it’s about how God made us and is shaping us. The art that we were born to make – I like that. Hope you have an amazing weekend! Demanding, rewarding. Never heard a woman describe her writing in that way! Sounds like you’re a deep well. And that’s a rich, beautiful person to be! Thanks Linda, and thanks for stopping by!